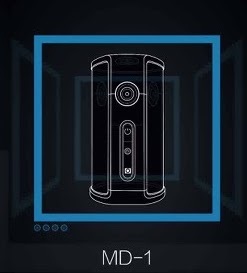 MD-1 is an upcoming fully spherical 360 camera with four lenses. 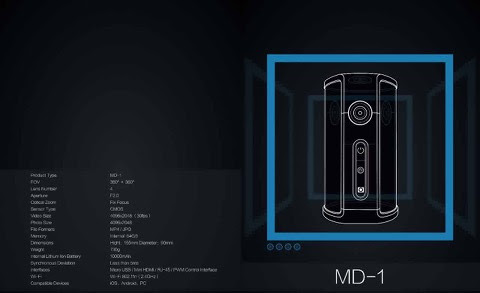 The MD-1 is a new 360 camera from a Chinese manufacturer based in Shenzhen. I don’t know much about this camera yet. The small photos and text I have below are the only info I have about it so far. – video resolution: 4096 x 2048 @ 30fps (?). MP4 format. – photo resolution: 4096 x 2048. JPG format. 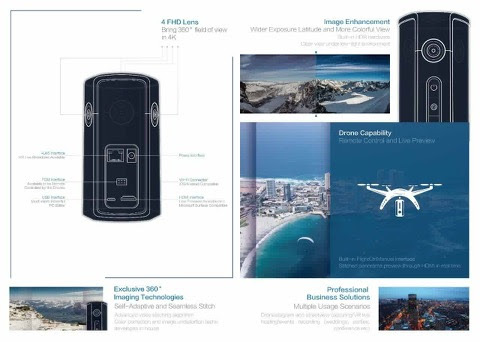 It appears that it can be mounted on a drone, although it looks larger than some consumer 360 cameras, which implies that the drone may need a large payload capacity. Thank you very much to Roman Goldman of rec360.ru for the information about this new camera!